Operator of Sri Lanka’s national payment network, LankaClear assures the general public that their payment network, LankaPay has not been compromised as it is fully secured adhering to international PCI-DSS security standard. The announcement came after LankaClear has been informed by a few banks that certain fraudulent transactions have taken place using ATM cards. 1) Please be vigilant when using an ATM and check if any suspicious devices are connected to the ATM. If so, immediately alert banks security or police. 2) If you see any suspicious looking individual wearing a cap, helmet or sunglasses near an ATM, immediately inform bank security or police. 3) Register for SMS alert service with your bank for all electronic transactions. LankaClear is owned by the Central Bank along with other licensed public and private commercial banks operating in the island. 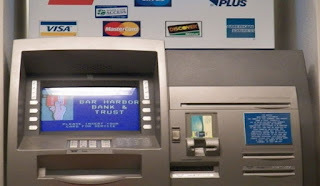 Card skimming is a type of credit card theft where crooks use a small device to steal credit card information in an otherwise legitimate credit or debit card transaction. When a credit or debit card is swiped through a skimmer, the device captures and stores all the details stored in the card’s magnetic stripe. Card skimmers are often placed over the card swipe mechanism on ATMs, but the skimmers can be placed over almost any type of card reader. With ATMs, the crooks may also place a small, undetectable camera nearby to record you entering your PIN. This gives the thief all the information needed to make fake cards and withdraw cash from the cardholder’s checking account.